No one was quite sure what MSF would find when it began treating hepatitis C in Cambodia last October. 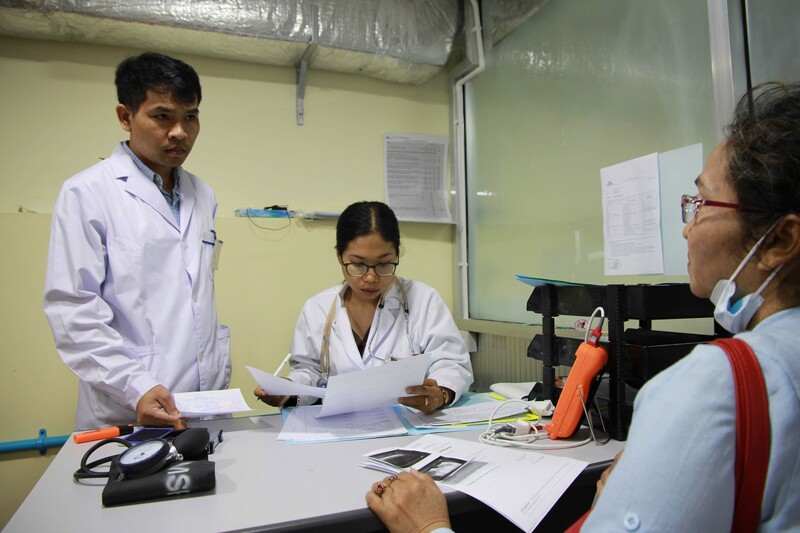 Working with a local hospital in Phnom Penh the results so far have been surprising – not only the sheer number of patients, but also who they are, and where they are coming from. After Phuong was diagnosed with hepatitis C by a doctor in Vietnam, she was given some vitamins for her liver. Accompanying the pills was the advice that nothing much more could be done for her there, or in her native Cambodia. That was five years ago. Today the 58 year-old grandmother is hoping for a more effective diagnosis from the free treatment provided at the MSF hepatitis C clinic in the Cambodian capital. Since the clinic in the Preah Kossamak Hospital in Phnom Penh opened on September 12, 2016 to walk-in patients referred by the Hepatology department, Cambodians like Phuong have filled the corridor outside that doubles as a waiting room. Until then only those who could afford to pay were tested and received treatment through private medical practices in Phnom Penh or abroad. While suspected of affecting between 2% to 5% of the population, the prevalence of hepatitis C infections in Cambodia is unknown. According to the WHO, between 130 million and 150 million people have chronic hepatitis C infection globally, while around 700,000 die annually from hepatitis C-related liver diseases. Working with the health ministry, MSF’s hepatitis C programme aims to introduce treatment of the blood-borne virus using the most effective drugs and rapid-test diagnostics. A simplified model of care will be developed that can be decentralised and expanded to other regions. 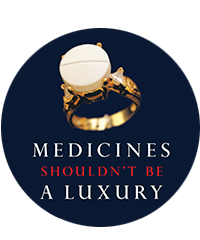 MSF’s Access campaign is also working on both local and international levels to tackle the financial barriers facing national programmes, namely the price of treatment regimens and diagnostic costs. The programme started screening and diagnosing HIV patients from the hospital in May 2016, while screening of mono-infection began at the clinic in October. “First indications were that the HIV-HCV co-infection was by far the smallest part of the caseload,” said the project’s Head of Mission Mickael Le Paih. This was unexpected, and what also struck Le Paih from the early stages of the project is the age of mono-infected patients. If the demography of the patients is surprising, so too has been the sheer number of people being referred to the MSF clinic. Currently occupying a small basement area under the hospital’s Hepatology department, the MSF team has been receiving around 100 people each day. Limited staffing levels combined with a lack of a rapid-diagnosis capacity in the country has caused a backlog of patients. Currently the project has over 3,200 patients waiting for diagnosis, while as of the end of December 307 patients were on treatment, and 183 on a waiting list. Phuong said she had travelled from her hometown 70 kilometres from Phnom Penh in order to seek treatment, and says that her father suffers chronic liver disease and suspects hepatitis C.